Nevertheless, Gail and I found ourselves in Kigali last November. We had a pleasant stay at a modest hotel near the beautiful modern convention center. The city’s lack of litter amazed us! While most cities we have visited have trash in the streets, there was none in Kigali. We learned about one of the reasons for this: the government has mandated that every Rwandan donate their labor to the country on the last Saturday morning of each month. After the community work there is a community meeting with community leaders to discuss problems. This service is called “Umuganda”. Umuganda dates back hundreds of years but has been resurrected to become a tool for reconciliation. In the local Kinyarwanda language this word means “coming together in common purpose” and is just one way the Rwandan government promotes peace in the country. Another policy was a benefit to us. Whereas French used to be the prevailing European language (the country was a Belgian colony), now English is the primary language of instruction. The article “Remember Rwanda” was one of the reasons that I had not felt good about visiting Rwanda. It suggests that one of the causes of the genocide there was overpopulation. People in many parts of the country in 1994 had too little ground to grow food and too little to eat. They became violent because they were starving. 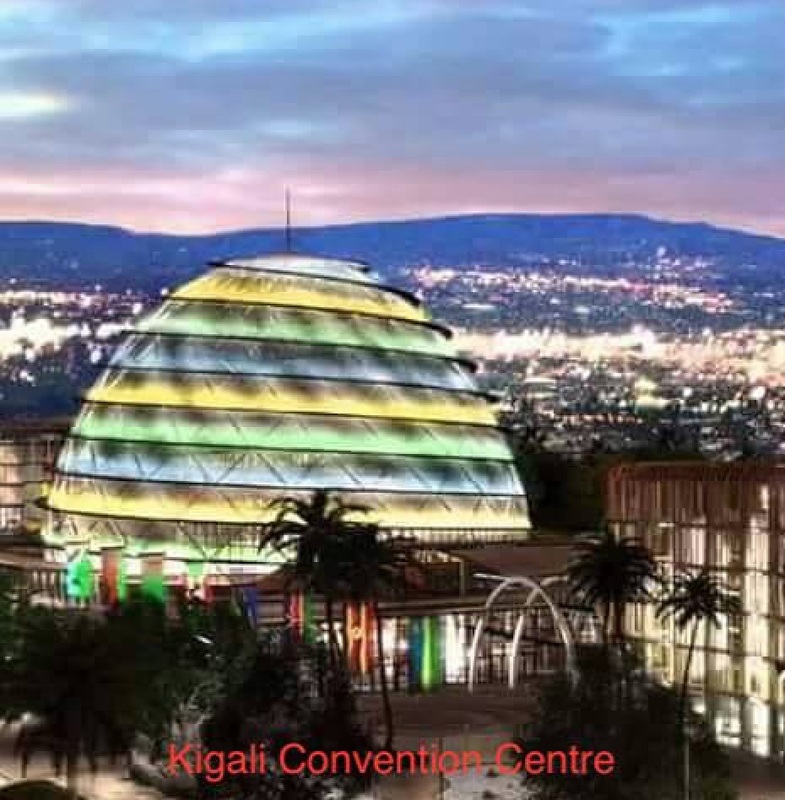 The Rwandans have made an amazing turn-around! People are no longer labeled as either by ethnicity (largely artificial distinctions)—they are all Rwandans. School children visit the Kigali Genocide Memorial to learn about their country’s history and ways to promote peace—so did we. The healthcare system has improved markedly. Recall how important it is for a country to have a low under-five mortality rate if it is trying to slow its growth. Well, this important measure of child health in Rwanda is just a fifth of what it was just 15 years ago! As Rwanda’s Minister of Health, Dr. Diane Gashumba said “Investing in Universal Health Coverage (UHC) is one of the smartest investments a country can make.” The number of doctors in the country is low, but they are well distributed. Each village has a small clinic which is often attended by a nurse or community health worker. Almost all Rwandans have inexpensive health insurance, making it easy for the people to access primary health care. Unexpectedly, Rwanda has a unique system to deliver family planning. Notice that the Minister of Health is a woman! There are many women in the Rwandan government, including half of the cabinet ministers. Their parliament is also dominantly female, with 60% of the seats of the lower house held by women—the highest percentage in the world! People in the government are young, with the youngest cabinet minister just 31 years old. Education has taken a turn for the better, too. Whereas most African countries charge tuition for even elementary students, Rwanda abolished school fees for basic education in 2003. Enrollment soared! Recall that education of girls and women is one of the best ways of empowering women and increasing the use of family planning. About half of Rwandans are Roman Catholic and are supposed to not use “artificial” contraception. The Church runs many of the Rwandan hospitals and clinics, so they cannot distribute contraception. However, the government has found a way around this limitation. Near each Catholic facility is a small family planning clinic that compliments the care of the Catholic facility. FamilyPlanning2020, the organization that is delivering family planning care in 69 countries, collaborates with the Rwandan governmental programs. They have provided an additional quarter million men and women with contraception since 2012. The most popular method is the “Depo” shot that is quite effective and lasts 3 months. Unfortunately, few men participate—only 1 in 12 couples uses condoms and vasectomy is rare. People in Rwanda are still poor—the average annual per capita income is less than $2000. However the government is making great strides to improve the lives of its people. They are strengthening the 3 most important things to help slow population growth: increase access to family planning, educate and empower girls and women, and promote the heath of children. You are currently browsing the Population Matters weblog archives for March, 2019.